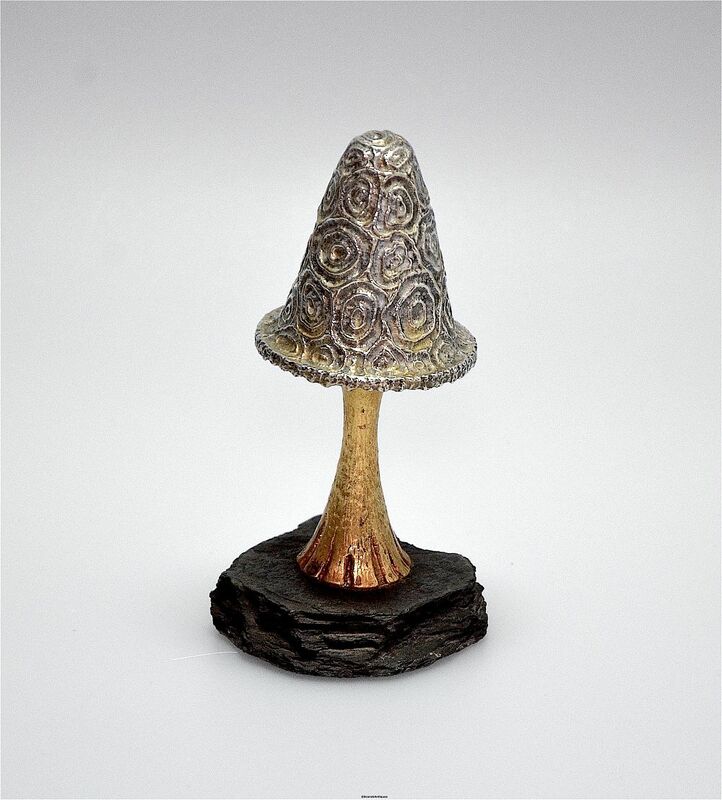 This is another lovely novelty silver & silver gilt surprise mushroom by Christopher Nigel Lawrence. 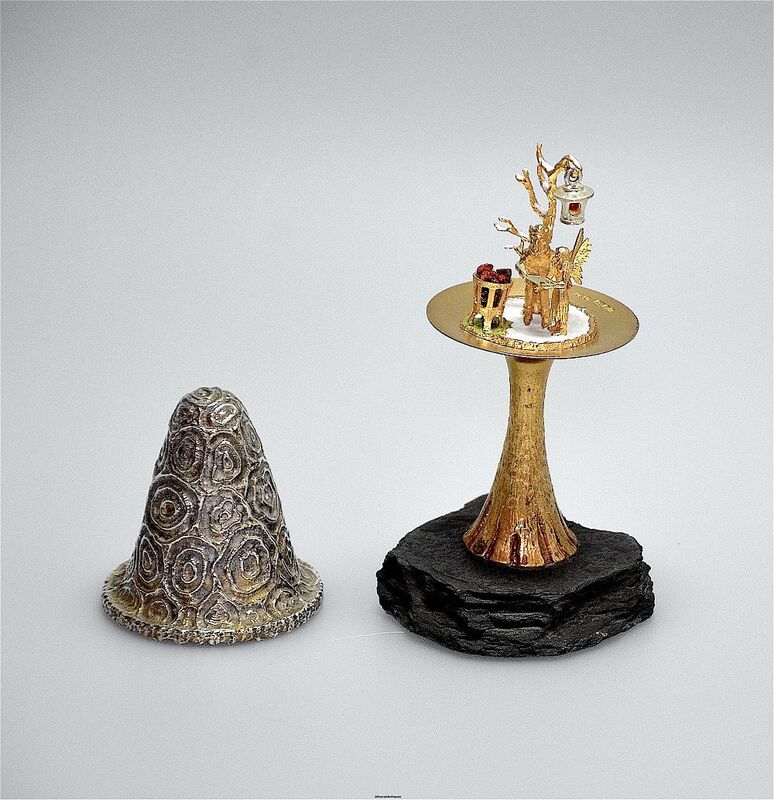 Made in 1982 the conical textured silver top lifts off to reveal a gilded fairy king & queen holding a gilded and enamelled songbook standing beneath a gilded tree that has white enamel accents imitating snow on the branches. Hanging from the tree is an articulated silver lantern with a small round carnelian bead in the centre. In front of the king & queen is a gilded brazier with red enamelled coals. The brazier stands on a small green enamel patch that is part of a larger white enamel base. The scene is supported by a round topped gilded silver fluted stem above a slate base. The top of the stem is hallmarked by the London Assay Office for silver & 1982 & bears the sponsor's mark "CNL" for Christopher Nigel Lawrence.